It’s clear that the way we sell has changed…for the better. Smartphones have replaced briefcases and sales teams are now more mobile than ever. That’s why your CRM should be mobile too. Almost half of our customers are actively using our mobile apps on a daily basis. So, it’s no surprise that we have a team fully dedicated to developing our iOS and Android mobile apps. Of course, we have two teams, one for each camp. But they both have the same goal: to bring you the most remarkable user experience on both platforms! You can check out our latest updates here. To make sure you’re getting the most out of our mobile apps, join us for 2 live webinars (you can pick one or attend both). On Wednesday, May 1st 2019, I will be hosting a webinar on how to “Get on track with OnePageCRMs iOS app” at 12:00 EDT / 5 PM GMT. To save your seat, click here. On Thursday, May 2nd 2019, our Customer Success Expert Larry Cabra will be hosting a webinar on how “Get on track with OnePageCRMs Android app” webinar at 12:00 EDT / 5 PM GMT. To save your seat, click here. We’re excited to bring you these exclusive live webinars. 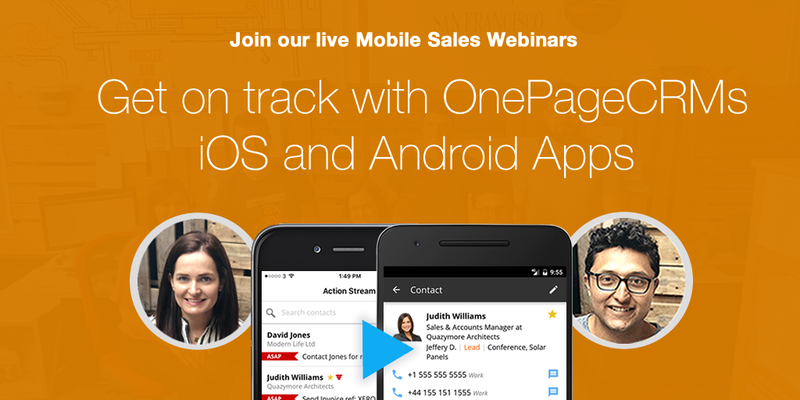 If you have any questions, please drop me an email to carmelg@onepagecrm.comor tweet us @onepagecrm #MobileSalesCRM. 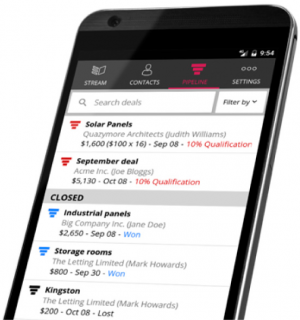 Mobile CRM software: Close deals faster, from anywhere.